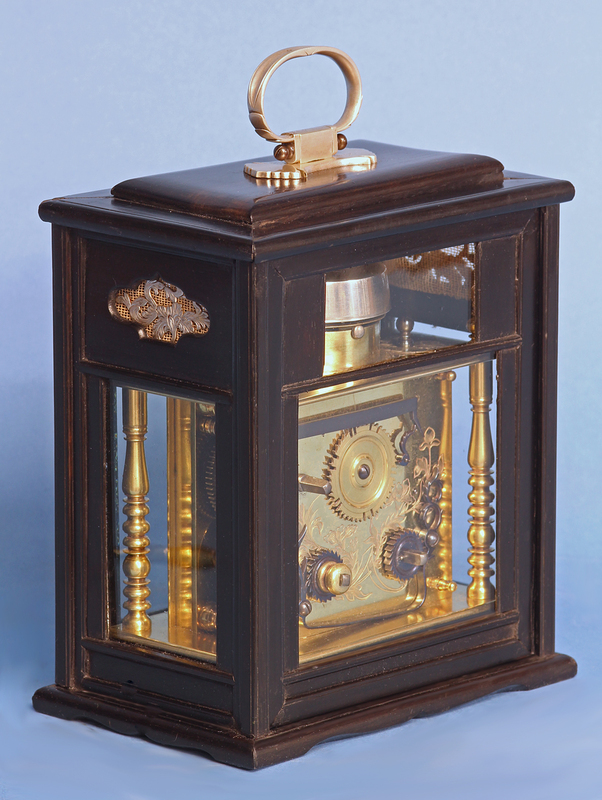 Mid 19th Century Japanese Bracket Clock with Original Case. 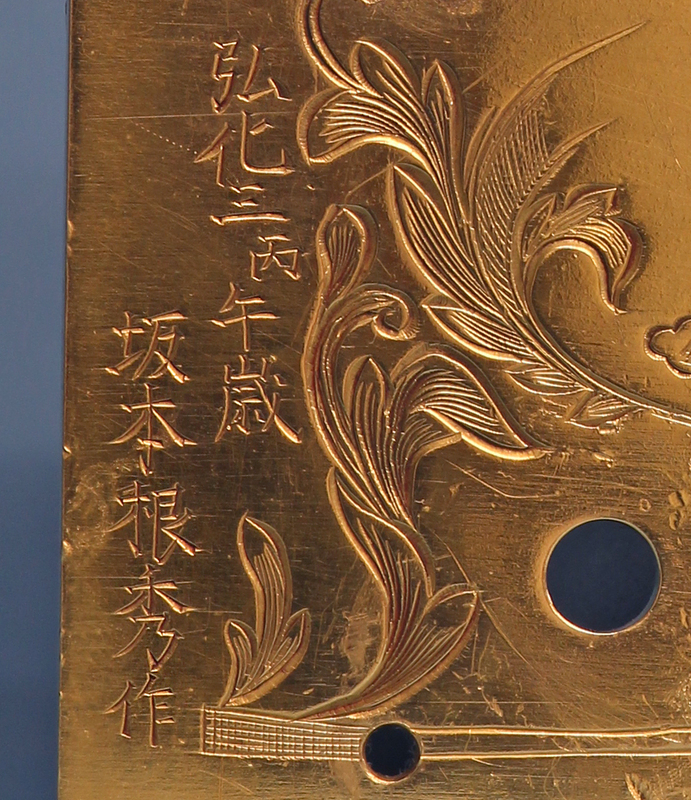 Unknown signature engraved in backplate. 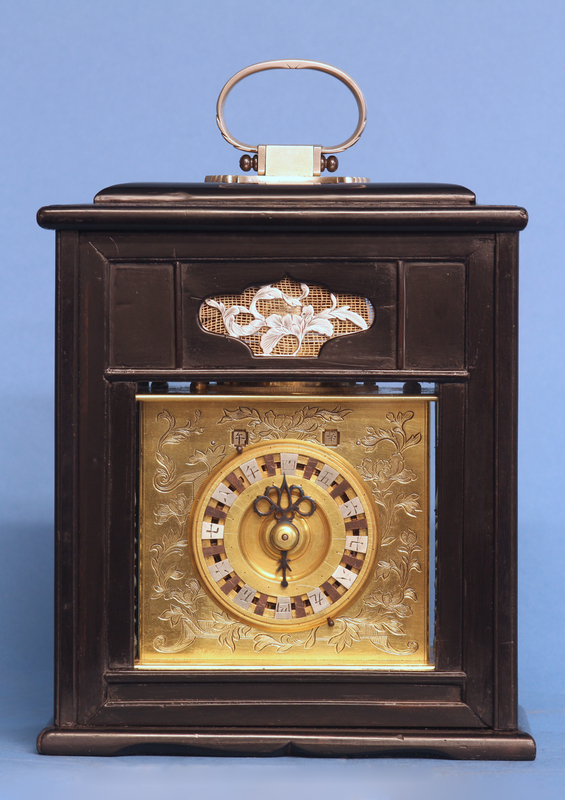 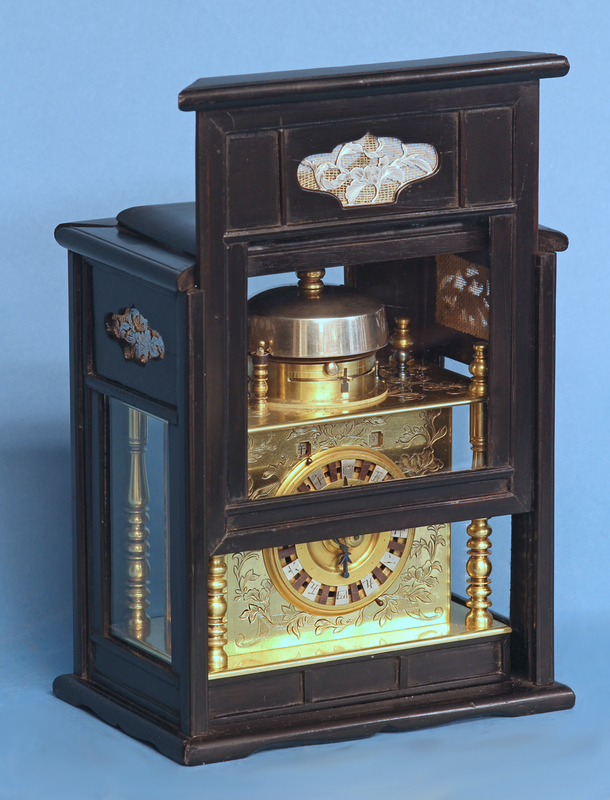 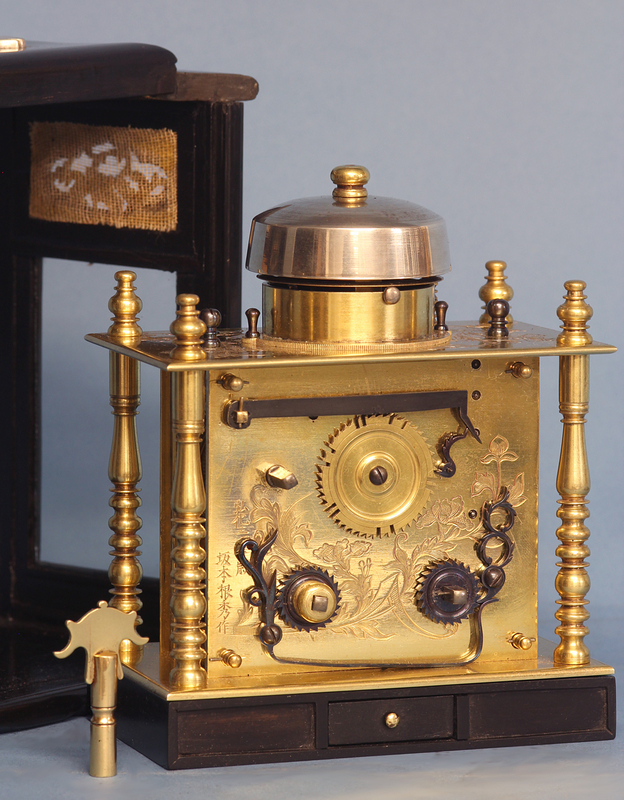 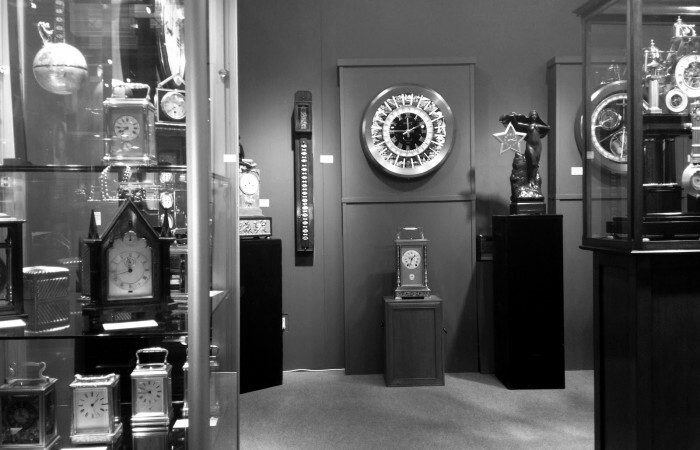 Mid-19th century Japanese bracket clock or ‘makura-dokei’ in the original glazed ebony case. 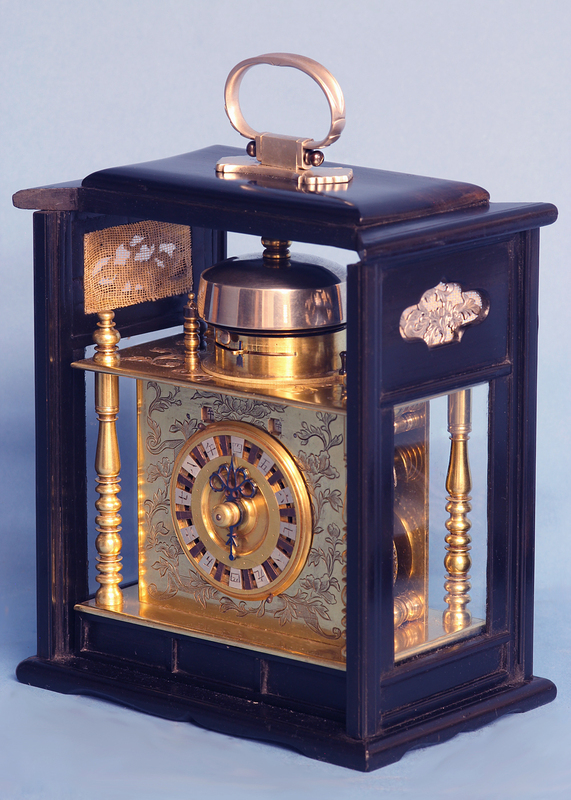 The ebony case has finely cut moldings, is glazed on four sides, has fabric lined silvered engraved frets, lift-out doors and a hinged silvered handle set on a decorative plaque. 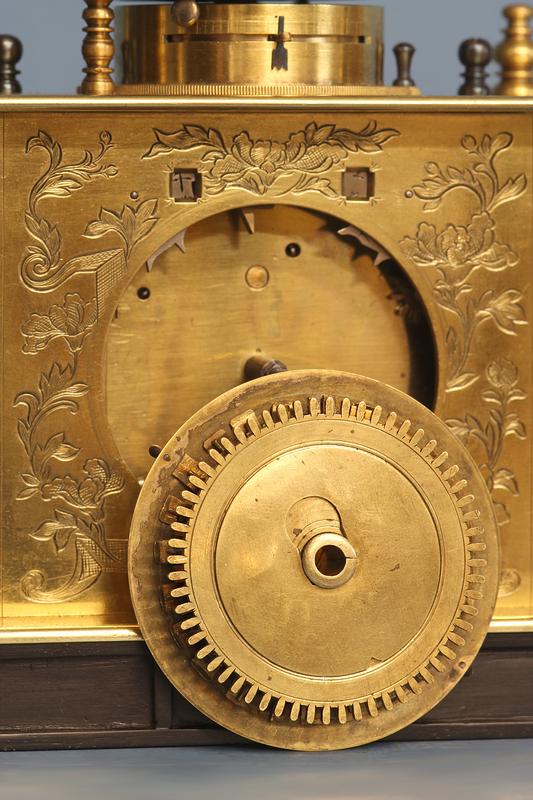 The rotating dial has a turned sunken center, adjustable silvered engraved markers for the temporal ‘hours’, Shokudo markers for the ‘1/2 hour’ marks and a steel-cut hand. 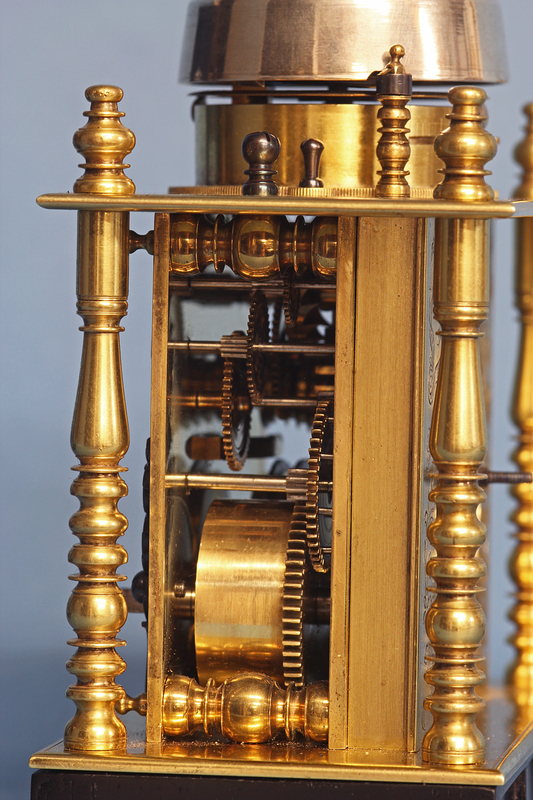 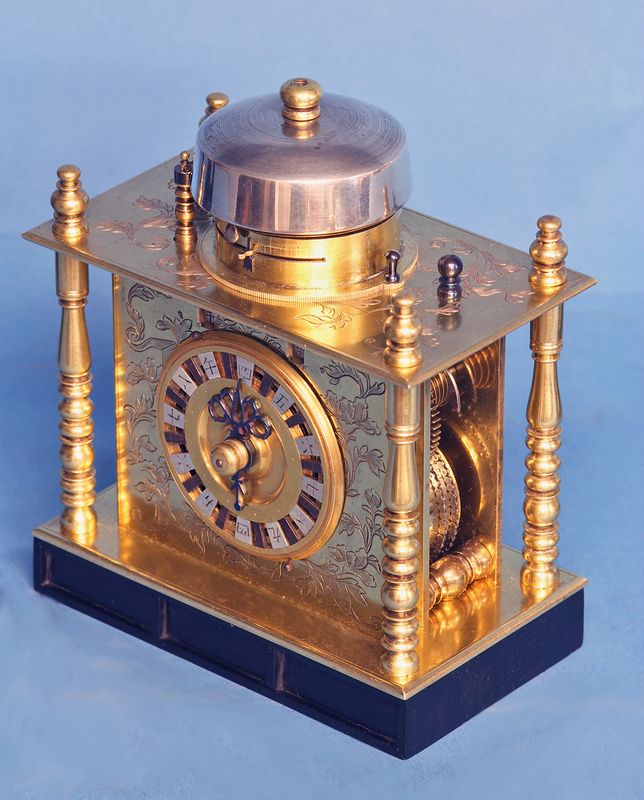 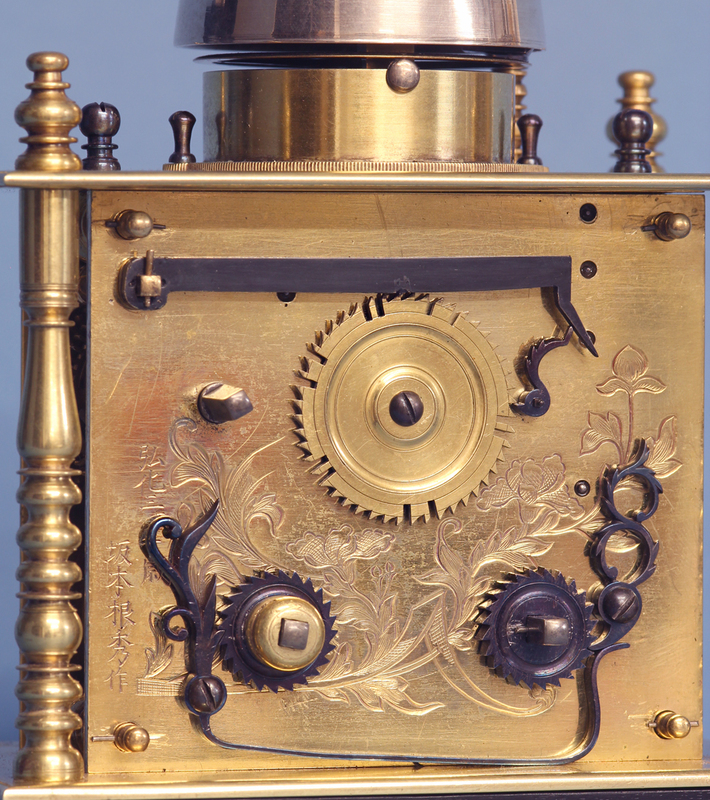 The one-day movement has finely turned pillars, engraved plates with scrolling folliage, apertures for the sexagenary calendar, a brass balance wheel, a fusee on the time side and a going barrel on the strike side, a traditional Japanese countwheel and strikes by a torsioned hammer on a bell mounted above. 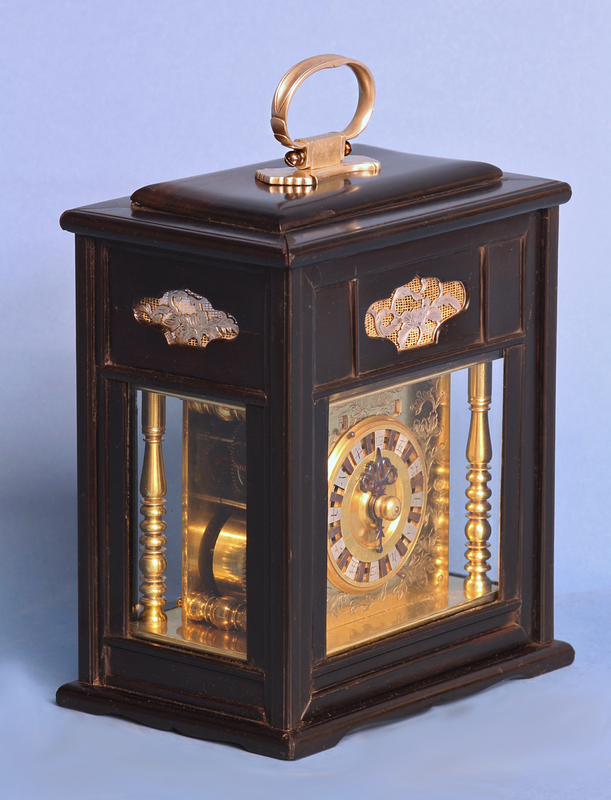 The whole sits upon an ebony base with applied moldings and a drawer to keep the key.